SACARE is a South Australian, family-owned provider of world-class housing and support services for people living with disability. We believe that every person should have access to the very best services and accommodation, enabling them to live enriched, fulfilled and independent lives. 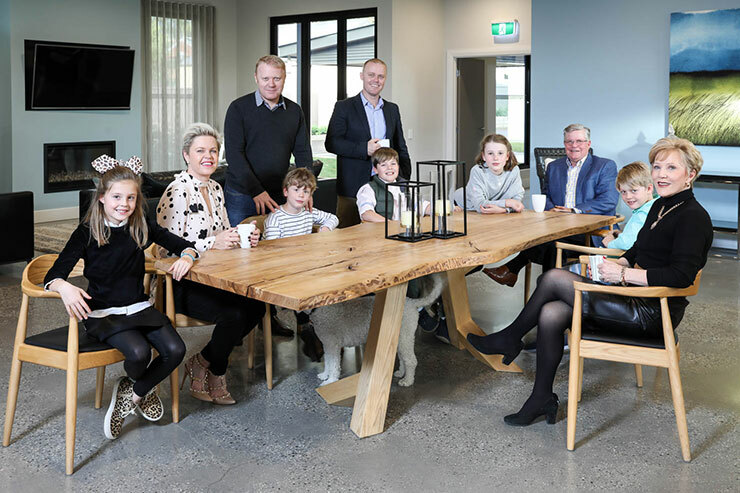 SACARE founders Sue and Andrew Marshall with their children Chloe Kempe, Lachie Marshall and Alex Marshall with their children sitting at the kitchen table in the Briarholm Kingswood Property.